The Oscar-winning director and his brother wrote to Russian President Vladimir Putin on March 16, Kommersant reported Thursday. A government source told the newspaper that Deputy Prime Minister Arkady Dvorkovich will meet representatives from Russia’s Economy, Trade, and Agriculture ministries to consider the project on Thursday. According to the letter, the project will require $18 million (971.8 million rubles) and will pay for itself in less than five years. The epicenter of the business will be 41 cafes and 91 food stands in the Moscow and Kaluga regions. The menu will source 30-40 percent of the ingredients locally, to reinforce the restaurant’s brand “Eat at home!” which is owned by Konchalovsky’s wife Julia Vysotskaya, who has her own eponymous television show. The business plan also includes two food production plants that could deliver food to orphanages and boarding schools. Mikhalkov wants to "try to create a network of good honest food, this thing should be available,” Konchalovsky told TASS. Projects like this already exist. Rusburger, a small Russian fast-food chain actively promotes itself as an ‘anti-McDonald’s’. 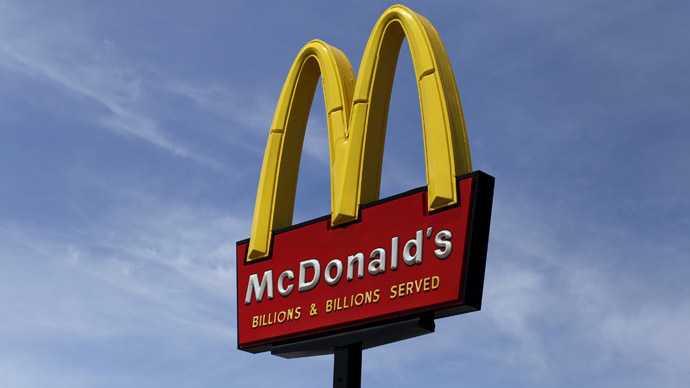 McDonald’s has over 400 restaurants and plans to open at least 100 more in Russia, isn’t scared of the competition. "The food market in Russia has great potential for development," the press office of McDonald’s said. McDonald’s has made strong efforts to rebrand itself as Russian, as previously advertising efforts focused on its American ties. The latest ad campaign for the ‘MacFresh’ burger lines shows a montage of customers enjoying the new burger to the backdrop of a song by one of Russia’s most beloved singers Viktor Tsoi. The PR switch is likely due to the wave of problems the fast-food chain faced in Russia this year over sanitation problems. In April of last year, four flagship restaurants were ordered to close, and reopened three months later. After Crimea joined Russia in March 2014, McDonald’s was forced out and was replaced with Burger King. Several American chains successful operate in Russia- from KFC and T.G.I. Friday’s to Dunkin’ Donuts and Starbucks Coffee. Russia's fast food business is valued at $19 billion, and the growing middle-class continues to lure investors into the industry.